We assisted the Friends of the Earth network to develop national proposals for law inspired by the UK Climate Change Act of 2008, which introduced an unprecedented legally binding long-term framework to cut the country’s carbon emissions. 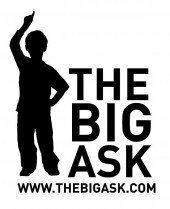 Inspired by the UK example, a public debate has started in other EU countries, mostly in connection with the Big Ask Campaign of member organizations of the Friends of the Earth network. We strived for the national proposals based on the Climate Change Act to be effective and provide a clear and enforceable framework for the long-term development of state policies and actions, which would systematically support the vision of a less fossil fuel-intensive and more decentralized economy. To this end, we helped Big Ask Campaign groups in the Czech Republic, Slovenia, and Denmark to draft legislative proposal for their respective countries.